November is already half way over. Can you believe it? Now is the time to start thinking all things Holiday, especially gifts for your dentist, office manager, dental assistant, or even your dental hygiene school bestie. 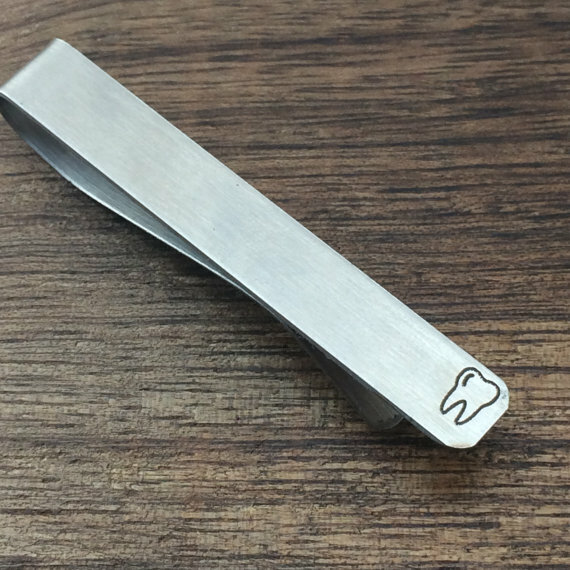 We've searched all over for some of the most unique dental gifts for any dental enthusiast. If you dentist or office manager wears a tie regularly, this is the perfect dental accessory. Enamel pins are a perfect way to jazz up a white lab coat. Plus, they can be wiped down at the end of a long SRP day. If your dentist is a big movie or baseball fan, wrap this gift with a Redbox gift certificate and some movie treats, or baseball tickets to a local team. Fill this bag with their favorite treats, or wrap it with a gift certificate to their favorite store or to your mall. So cute tooth magnets (or could also be pins) from Lilac Paper Company. This is a perfect stocking stuffer if you have a dental professional in your family. Why not get this dental game for office team building? Based of Monopoly, this game of full of dental humor, plus the proceeds help support free dental clinics. Hopefully this list of dental gifts can help alleviate some holiday shopping stress as December gets closer! We are always looking for new gift ideas for the dental people in our lives! What are your dental gift ideas this year? Let us know!